Pretty in pink! 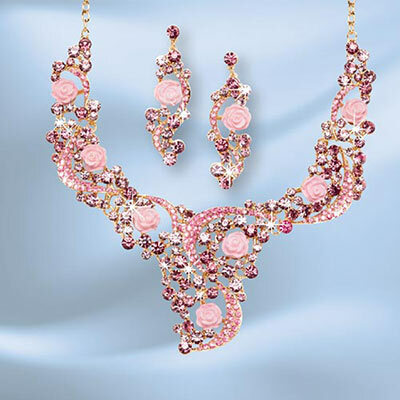 Undeniably beautiful and certainly elegant, our uniquely designed Lavish Rose Garden Jewelry Set features glittering faceted crystals in lovely shades of pink alongside pretty rosettes in a gleaming gold-tone setting. Necklace, 18"l with 3" extender; Earrings, post backs, 2½"l. Hurry! Quantities are limited!